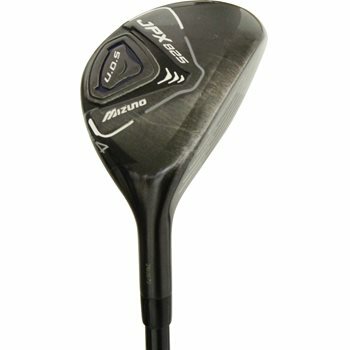 The Mizuno JPX-825 hybrids combine extreme forgiveness, easy launch and straight trajectory into one balanced club that is beneficial to players at all skill levels. The square face angle, enlarged foot print, and optimized internal weighting deliver a hybrid that inspire confidence. They are easy to use and deliver high shots that land soft.